Common European Framework is the method used to testing the English of an individual. All English exams, either TOEFL or IELTS follow it. The Common European Framework of Reference for Languages (CEF or CEFR) was put together by the Council of Europe as a way of standardizing the levels of language exams in different regions. There are six levels ; A1,A2,B1,B2,C1,C2. Let us understand what do these levels mean. You are called a master in Engish if you can understand with ease virtually anything heard or read. If you can summarize information from different spoken and written sources, reconstructing arguments and accounts in a coherent presentation. Also, if you can express yourself spontaneously, very fluently and precisely, differentiating finer shades of meaning even in the most complex situations. If you get a C1 in your test you probably are someone who can understand a wide range of demanding, longer texts, and recognize implicit meaning. It means you have a flair for expressing language flexibly and effectively for social, academic and professional purposes. Even more you produce clear, well-structured, detailed text on complex subjects, showing controlled use of organizational patterns, connectors and cohesive devices. If you get a B1 it simply means that you can understand the main points of clear standard input on familiar matters regularly encountered in work, school, leisure, etc. You can deal with most of the situations while travelling to other places. You can use simple connected sentences and can describe experiences and events, dreams, hopes and ambitions and briefly give reasons and explanations for opinions and plans. This level means that you can communicate basic things about yourself in English. You can understand sentences and frequently used expressions related to areas of most immediate relevance. It means you can introduce yourself or can understand and use familiar everyday expressions and very basic phrases aimed at the satisfaction of needs of a concrete type. Slowly but surely IELTS finds its way into the Denmark when Denmark says Yes to IELTS. More universities joined the list of many others already recognizing IELTS in the Denmark. Denmark has opened its borders to IELTS. People’s Denmark to recognize IELTS – surely others will follow and it’s just a matter of time. Approximate 35+ organizations and universities accepting IELTS. There is the list of some of them. Slowly but surely IELTS finds its way into the France – more universities joined the list of many others already recognizing IELTS in the France. France has opened its borders to IELTS. 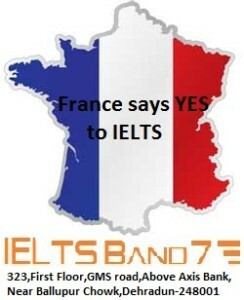 Organizations in France to recognize IELTS – surely others will follow and it’s just a matter of time. Approximate 30+ organizations and universities accepting IELTS. There is the list of some of them. Slowly but surely IELTS finds its way into the Finland – more universities joined the list of many others already recognizing IELTS in the Finland. Finland has opened its borders to IELTS. 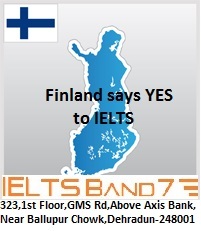 People’s Finland to recognize IELTS – surely others will follow and it’s just a matter of time. Approximate 50+ organizations and universities accepting IELTS. There is the list of some of them.